Home » Mid Century Culture » Anne, Carol, Judi, Emily and Pat: Who are these Formica trade show mystery women? Anne Newman. Carol Christensen. Judi Turner. Emily Banks. Pat McCloskey. Five lovely women — identically dressed, impeccably coiffed and identified by name on their hat cases — together promoting Formica wall tile circa … 1948. That’s my guess for the year, based on the fat-F logo in Susan Grant Lewin’s book (affiliate link). And Mr. Regional Manager, what a big day for him! What do you think? Are Anne, Carol, Judi, Emily and Pat their for-real names? And what’s the year? And where are they? The photo is an 8×10 original from my personal collection. I’ve been collecting midcentury home marketing materials like this for nearly 20 years now, and promotional shots like this one are among my favorites. Formica logos over time, from Susan Grant Lewin’s book. Okay, reading the comments, I looked harder and thought longer. I see my mistake: I was looking at the logo in the Wall Panels display the models are holding. If you look at the logo on the larger display behind them, it’s different typography. So I will agree: Late 1950s, early 1960s. And defensively I will add: I originally thought the latter timing, too! I got thrown off by the wall panel piece! Photo viewing tip for this blog: Once a story has fully loaded, click on any photo, and it should double in size on screens, up to 1000 pixels wide. 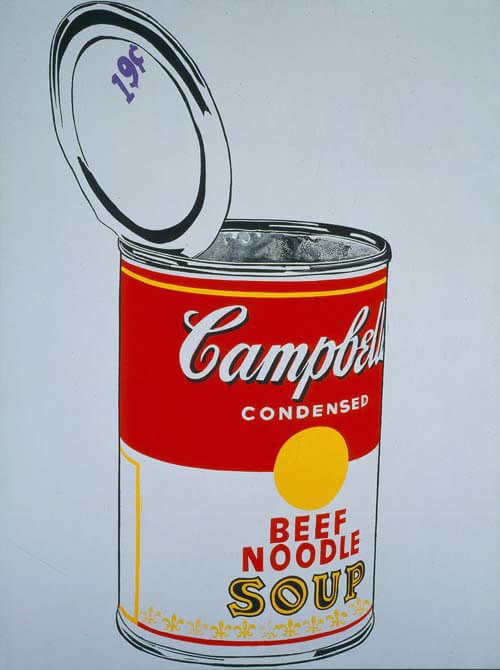 Andy Warhol Campbell soup cans at Target: Kool. Kate’s engagement story: Priceless! 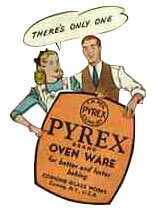 Pyrex 100th anniversary — thank you, Bessie Littleton! This photo has got to be from around 1960. Fun Formica trivia: I found a vintage magazine ad on eBay (big full page ad, 11 x 15) “introducing” the Skylark pattern — you know, with the space-age boomerangs. The illustration shows a serenely happy woman holding swatches of all five colorways: blue, white, black, yellow and pink. (My kitchen has the yellow.) In the lower-left corner it says THE AUSTRALIAN WOMEN’S WEEKLY, February 22, 1961. For a moment I was confused; my house was built in 1955, so why did this 1961 ad talk about “Skylark” as if it were brand new? Then I realized: they must have introduced Formica in Australia several years later. Headline from ad: “It’s new! It’s different! Smart homemakers will love it! It’s SKYLARK…exclusive to Formica.” I found a protective sleeve for the ad and have it on my refrigerator door, so any observant person can see that my countertop is the same one. Well….given that some of these spokesmodels have been identified as not being maids from the boonies, exactly, so they would likely have been tuned in to the latest styles, but none of those hairdos are remotely mod….and the dresses are still very ’50s, as are their below-the-knee skirt lengths….and the short cuffs of the gloves are ’50s – I’m going with about 1958-59. I must admit that the influence of Dior’s New Look on female dress made women in the 1950s look little more than oversized little girls! Give me the power suits of the 1940s any day!